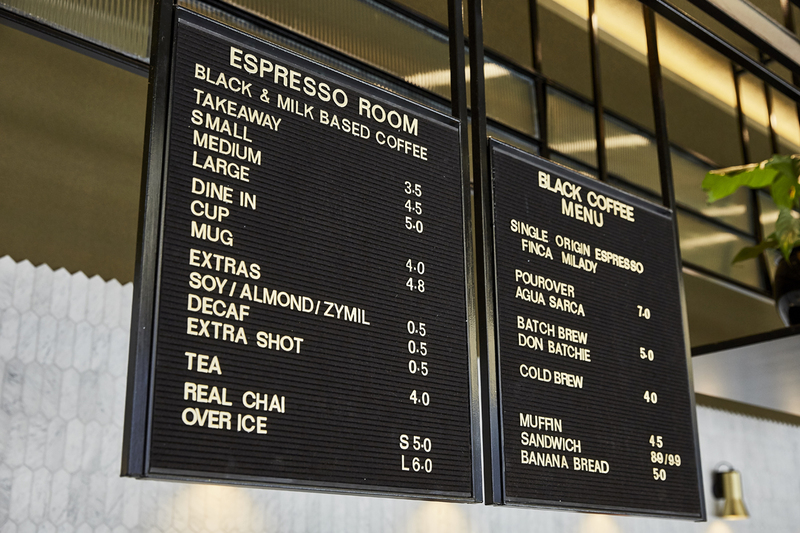 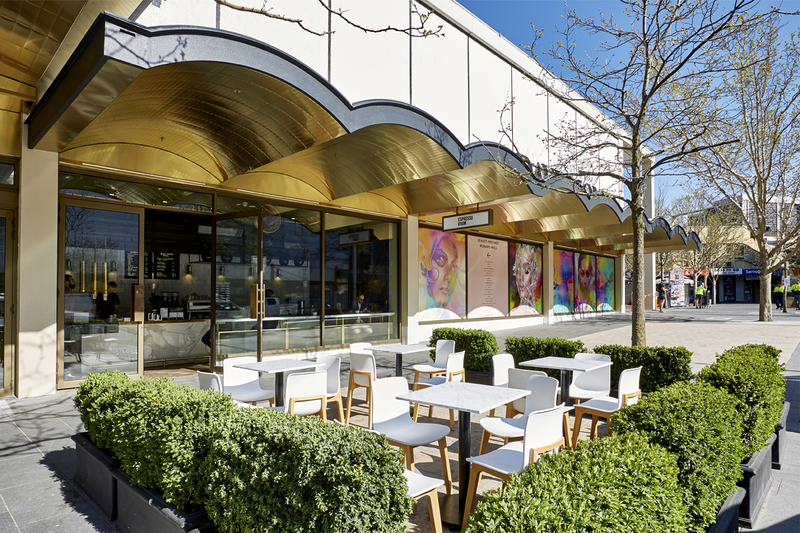 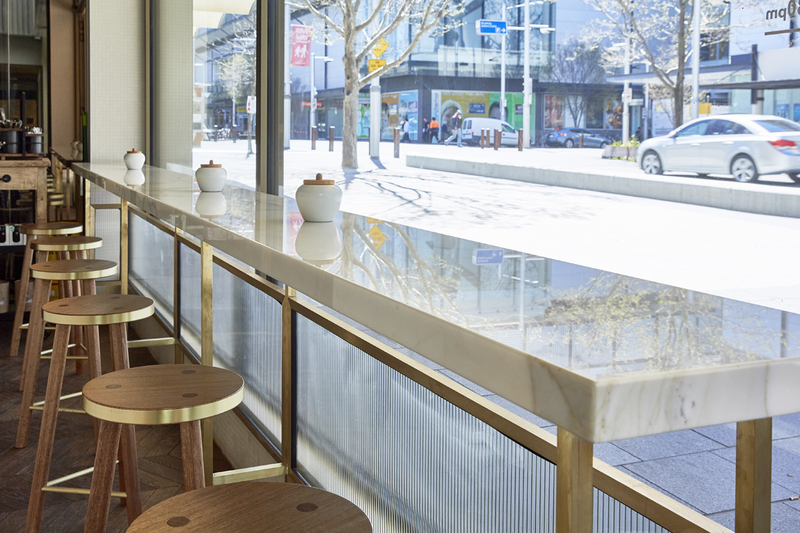 Our third store for Espresso Room is located within the Canberra Centre. 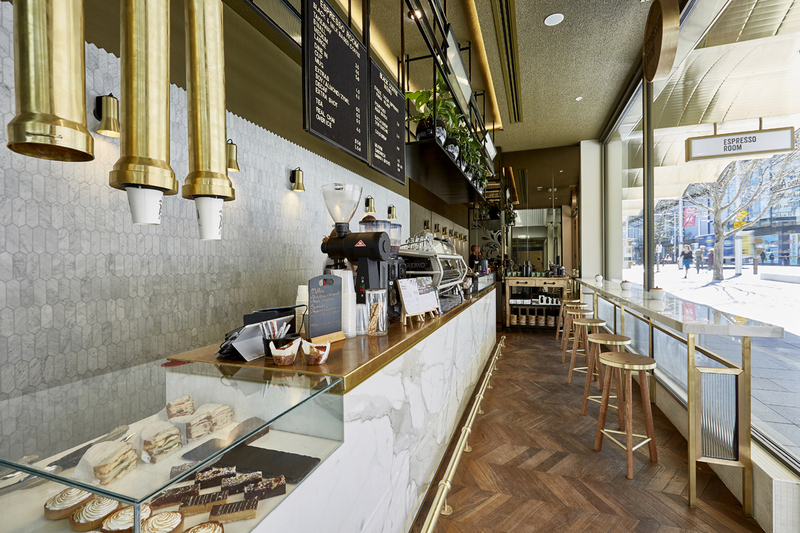 At only 19 sqm, this space meant that we had to be clever with our planning and finishes palette. 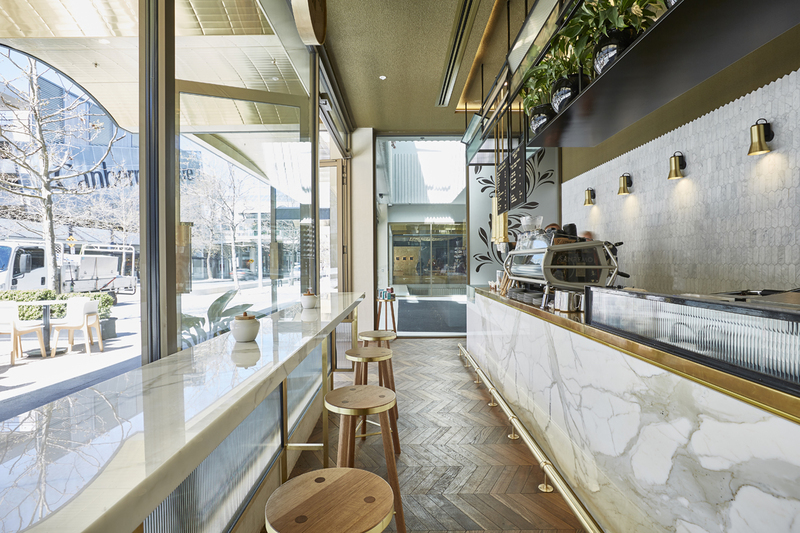 We created a mostly neutral palette with Polygon Italian Carrara tiles in a honed finish on the wall and stone counter front. 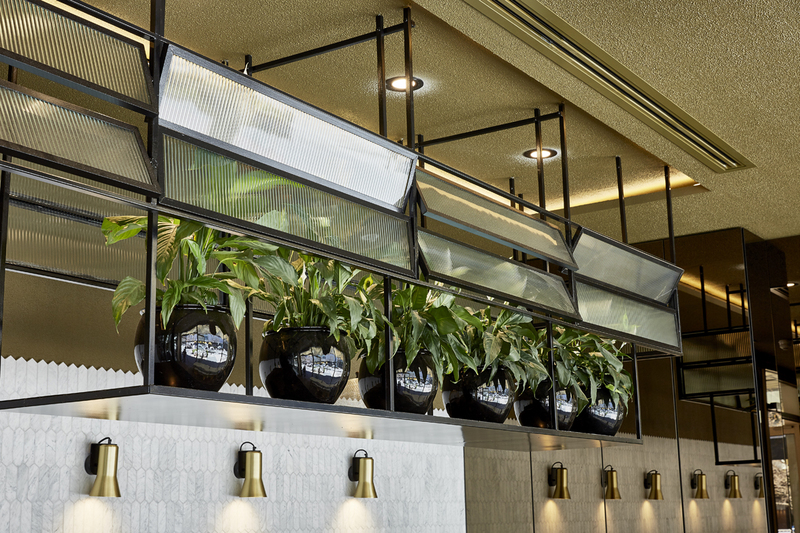 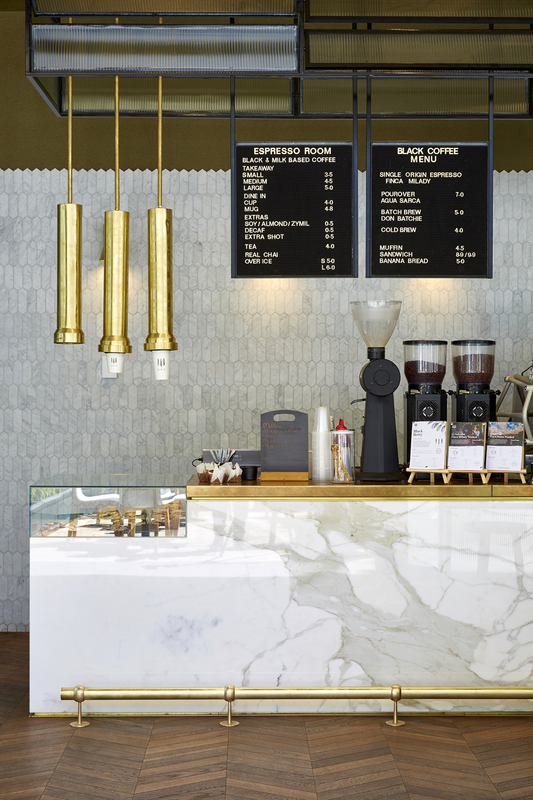 Custom brass counter top & wall lights add warmth as do the stunning brass cup dispensers by Artisan Smith. 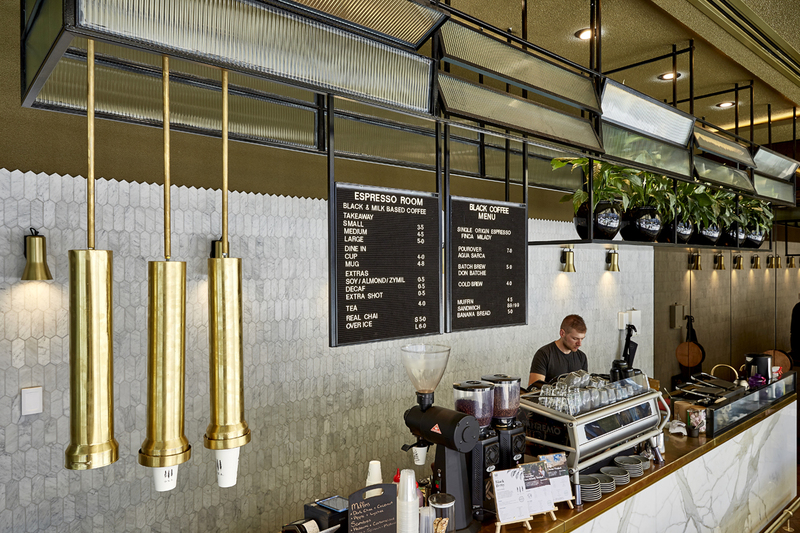 Louvered fluted glass canopy anchors the bar in the space and the bronze mirrored cupboard wall makes the space feel larger.